In today’s highly competitive job market, the ability to attract and retain the best talent in the marketplace is key to the success of any organisation. A key ingredient in aiding with talent attraction is the creation of a compelling and consistent employer brand. 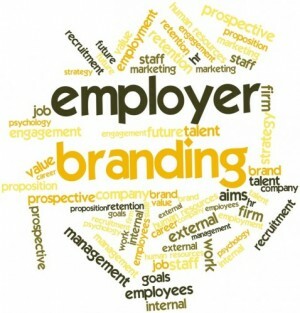 An employer brand refers to the identity of the organisation amongst its key stakeholders. It represents the image the organisation projects to current employees as well as key external stakeholders such as clients, customers and most importantly active and passive job seekers. A compelling employer brand aids in positioning an organisation as a good employer and a great place to work, an employer of choice. It is estimated that only around 50% of organisations have a working employer brand strategy in place, and so, in building a strong employer brand an organisation can gain a distinct competitive advantage when it comes to retention and recruitment. It is however, important to note that for an employer brand to be effective in attracting new employees as well as retaining current top talent, it needs to be an identity that is true, credible and relevant to the organisation, in addition to being both distinctive and aspirational. Externally, a strong positive perception as an employer of choice raises an organisations visibility in the job market, aiding in the recruitment of the very best candidates. Internally, it assists in the retention of the best talent within the organisation. If there is disconnect between how an organisation presents itself to the outside world and the reality of working within that organisation, employees will very quickly disengage with the organisation and new recruits are unlikely to stay for long. Even if an organisation manages to attract talent, if the values, personality and culture portrayed to the outside world are not embedded within the organisation, the organisation is unlikely to retain that talent. An organisation that leads by example, where senior management live and breathe those elements that underpin the employer brand, is an organisation that successfully engages and ultimately retains employees. As such it is imperative that the employer brand extends throughout the employee lifecycle from recruitment and on-boarding, through reward and recognition, training and development, career progression and ultimately up to and including the point at which an employee parts company with an organisation. A well-rounded, compelling employer brand will consider every touch point the organisation has with employees at all stages of the employee lifecycle. While it will take time for an organisation to reach its desired employer brand positioning, once there it is essential not to become complacent. Employer brands are not fixed, they will continue to grow and develop with time and as such, they require ongoing attention. Employee satisfaction surveys, workshops and exit interviews can provide great insight into how perceptions and employee needs change with time, and being able to respond and adapt accordingly is essential for ongoing success.